We're very happy to have Dalbello in the range for 2019. 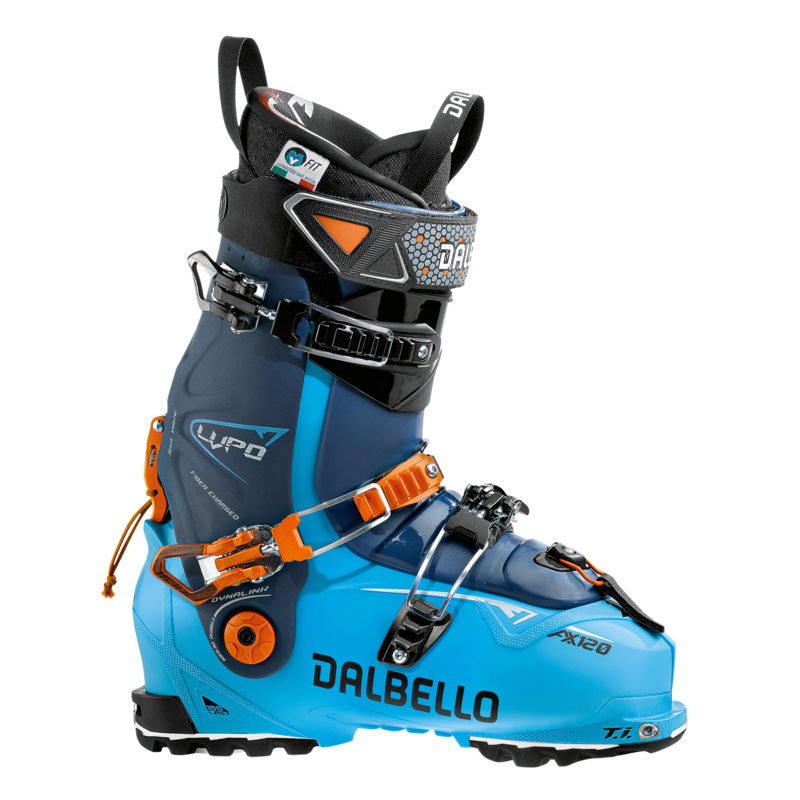 The Lupo AX 120 is a high performance freeride boot descended from their top Alpine boots. Designed to give Alpine boot performance with Backcountry essentials such as a walk mode, tech fittings and Grip soles, the Lupo AX 120 are a great choice for people doing shorter tours and wanting top end ski control. With a 100mm published last width the Lupo are medium width but they have a fairly high volume fit, something which has been a bit hard to find in freeride boots the last couple of seasons. This makes the Lupo AX 120 a good starting place for people needing a freeride boot with a bit more room. The Alpine DIN soles are sold separately, the Lupo comes with a Grip Walk sole unit fitted.